After spending exactly 3 full days studying car depreciation on different models with a different price range from all around the world, I am ready to show you some numbers. 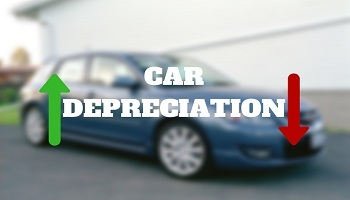 To write this article, I analyzed over 300 different car purchases and their depreciation over time. What are my resources? Well, I went and checked the prices of the vehicles when they were brand new, then I compared those numbers to the prices of the used vehicles that dealerships were selling across the USA. I was stunned at how some dealerships have bigger prices than others, even though they are in the same state. So my first tip will be: Check 5 different dealerships before buying a car. The SUVs lose around 30% of the purchase price in the first 3 years. The Trucks lose around 25% of the purchase price in the first 3 years. The Sedans lose around 32% of the purchase price in the first 3 years. The Sports Cars lose around 40% of the purchase price in the first 3 years. I am not saying that what I’ve put together is perfect, but if you’re a nerd and just want to know if you are making a good financial decision or not, I really hope this helps. Before I start, I would like to tell you that I will be using percentages in a lot of examples. So, if I say a 20% depreciation on a car that costs $100,000. That means the car is worth $80,000 now. Conclusion #1: Buying a brand new car will never make financial sense to me. Ever. This may come as a shock to you, but you can expect to lose around 20% of the total price of the car the minute you drive it off the car salon. Of course, there are a lot of different factors which we will discuss later, but that is the average. Just to be clear, I don’t think that it’s a stupid decision to buy a new car. It’s just that there are other reasons other than the financial. Many car buyers want to customize their car to their taste, or want that fresh smell on a car and are willing to sacrifice depreciation for that. For some car buyers, they’ve been saving up money for a long period of time to buy their dream car, so its more about the experience than the money. It’s perfectly fine if you have the money to blow. Conclusion #2: The best deal that you can get is to buy a car that is 5 years old which has seen medium use-don’t be fooled by the ones with fewer miles on it. 3 years is the plateau point at which the depreciation of the first couple years levels off. I wouldn’t recommend buying a car that has little mileage on it because they could have some problems. Imagine if an older gentleman buys a car and then he runs into some health issues and just keeps the car in storage for 2 years. Not driving your car for 2 years can and will create some serious problems, no matter how old is the car. I had a 96′ Opel that had 200,000+ miles on it and then left it to sit for just 4 months. When I tried to start it, at the first I couldn’t. After trying for 30 minutes I finally did it. But when I went for a ride, that car just didn’t have any power to it. I could barely speed to 50 miles. It seems like the turbine had malfunctioned from sitting for 4 months. You get the point. Do not buy a car that is old 5 years but has only 10,000 miles on it. Conclusion #3: Car depreciation is tied to the manufacture year and NOT the mileage. Mileage plays a small role when it comes to car depreciation. Why? Because most cars die of failures other than the driving portion. There are Volkswagen and Volvo cars that can run 500,000 miles, but they don’t last that long because of the damage to the body of the car during the years. Conclusion #4: About 80% of all new car buyers pay significantly more for their cars than they should. Most big car brand manufacturers set the MSRP 30% higher than the realistic purchase price. I failed for this too. When I purchased my 330D BMW, the MSRP was $38,000 and I convinced them to bring it down to $35,000 and I thought I was hot stuff. I checked cars.com after I bought my car and found out that there were dealerships around the country who were selling the same car brand new for $5,000 less. If I knew this, I would drive to the other state and I would purchase the car there, or I would use the intel that I had and tried to bargain even more with the local dealerships. Next time I will triple check before blowing $5,000. Conclusion #5: Trucks depreciates slower than cars. Trucks manage to keep their price longer than cars. Trucks not older than 9 years have dropped 1-2% during the last year. The typical drop is anywhere from 10 to 15%. Of course, there are other variables like geographics, but this is good news if you are looking at buying a new or used truck in the future. 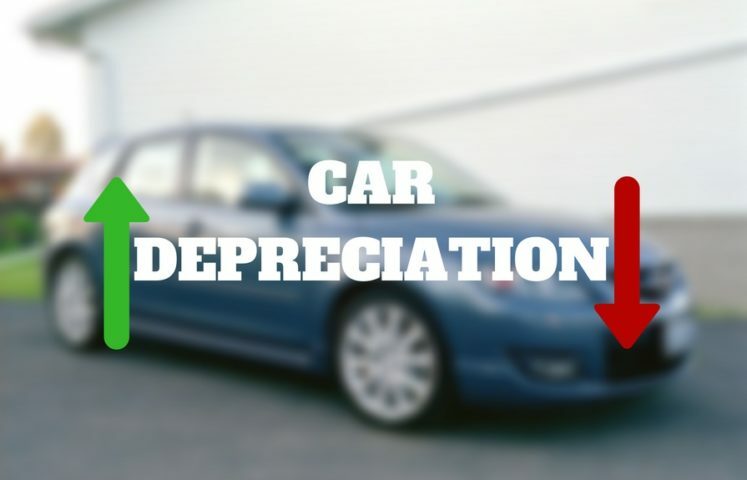 Why Do Cars Depreciate So Quickly? You bought a brand new Camaro 2018 which is the latest model. Then, 2020 comes out and Chevrolet comes out with a newer model, with new functions, new features, and the whole nine yard. Suddenly, your car isn’t the last model anymore. Those are the reason why your new car is worth 15%-20% less than it was a year ago. 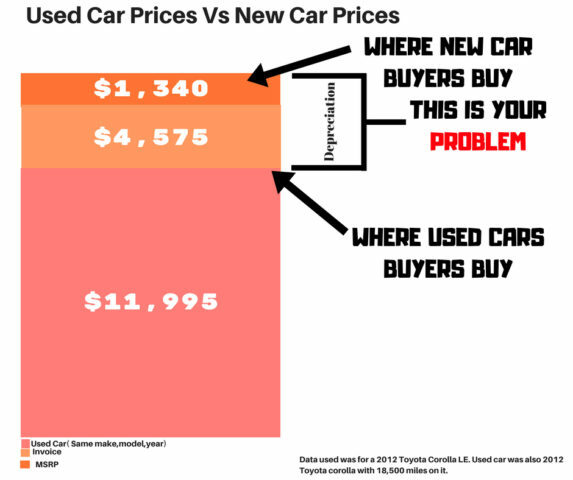 In another word, the used car buyers let the new buyers take the hit from depreciation for them. That’s why many millionaires buy a used car. Choose a vehicle with good quality. If you plan to use your brand new car for a couple of years and then sell it, you want to choose a good quality car which will keep its value over time. Most of the cars lose 20-30% in the first 3 years, but not all of them(see my lists below). There are cars that lose 5% in the first 3 years(Mazda). This car would be ideal for you to buy if you are going to sell it after 3 years. I would not recommend Peugeot because it will lose 52.3% of its original value in the first 3 years. Don’t over-personalize or customize your vehicle. I think that people buy brand new cars so they can customize them. With every change you make to the car, you are just narrowing down the potential buyers after you decide to sell your car. Repainting your vehicle, your rims, adding custom seats, and unusual colors may look good to you, but many people will not find it appealing. It would be best if you stick to the original look of the car. If you really want to change something on the car, change the rims. This way, if the new owner doesn’t like them, he can change them. Take care of your car. This is also very important. 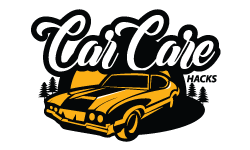 I have written articles on how to take care of your engine, your interior, and exterior. Why is this important? Well, a great way to reduce the price of your car is to neglect it. What happens when you park your car outsides? There are birds, and those birds go number 2. When they go number 2 on your car, their ‘content’ has acid. If you leave that acid for days, it will damage your paint over time. So, wash your car every 1-2 weeks. Do it at home. Avoid going to the car was because most of the car washes use rough brushes which will damage your car paint(scratch). Enough for the exterior, let’s move to the interior. I think that you should clean the interior first for your health, and then for the sake of the vehicle price. You are going to spend some time in that car. If it’s dirty, it can spike some health issues like allergies or skin problems. Second, if you spill some coffee or if you like eating in your car and you end up with a ketchup all over your seat, make sure to clean it right away. Fluids=mold. It’s that simple. And the most important – take care of your engine. I think that we all know what is the most expensive part of the car. Make sure you change the oil on time(every 5000 miles). Change the fuel, air and oil filters everytime you change your oil. Make sure you have enough coolant and transmission oil. Keep the mileage as low as possible. This is hard to do. You bought your car to drive it, not to leave it in the garage and drive around in a taxi. What I mean by this is, whenever you can try to avoid driving your car. If the store is 1 mile away, take a walk. It’s healthier for you and for your car. Also, if you are going to visit some relatives 1000 miles away, catch a plane. The lower the mileage, the higher the price. Use quality gasoline. Bad gasoline will cause you nothing but trouble. Not only you can damage your fuel pump and fuel line overall, you can damage the engine as well. Dirty fuel will overwhelm your fuel filter and after that debris will flow into the engine. If you have a dirty fuel line, I have an article that can help you with that. See it here. Keep a service card record. I have a service card in my car. Whenever I change the oil, or any part like brakes, filters etc, the mechanic inputs the date when the part has been changed and then he puts his company stamp. Keeping a record will show the new buyer that you took good care of your car. Stick to the common colors. This may sound a little bit funny, but tell me which color will sale more: Pink or black? I think that 99% will go for the black. Other common colors are white, grey, and silver. Remember what I said about personalizing the vehicle? This is it. Having gender neutral colors like white and black means that both men and women are potential buyers. Car Warranty. This is different for each country. I cannot tell you what car manufacturers offer in your country, but in mine, there are two options: Mileage and years. When you buy a brand new car, you can choose a 5-year warranty or 60,000 miles. Not sure what the numbers are in your country, but if you are going to drive that car a lot, choose the yearly warranty. I did a research about which are the best 10 SUVs and then I researched their depreciation for a period of 10 years. For each year I added 10,000 miles. The winner in this category, the SUV that holds it’s price is Mazda CX-9. In the first 3 years and 30,000 miles, you will lose only 2.51% of the total price. The SUV that has the highest depreciation is the Peugeot 5008 GT. In the first 3 years and 30,000 miles, you will lose 52.3% of the total price. After 10 years and 100,000 miles, the Peugeot 5008 GT will lose 80,72% of its total price. In second place is BMW X6M with total 75.63% depreciation. This broke my heart, I BMW X6M is my crush! Same like with the truck, below you will see a depreciation for each year. Also, there are 10,000 miles added each year. The best sedan that holds his price over the years is Toyota Camry. After 3 years and 30,000 miles, there is a 22.34% of depreciation. After 10 years and 100,000 miles, there is a 68.61% of depreciation. The sedan that has the highest percentage of depreciation is Cadillac CTS. After 3 years and 30,000 miles, it will lose 84.07% of the purchase price. After 10 years and 100,000 miles, it will lose 93.56% of the purchase price. This is probably the worst case out there. The best truck that will keep its value over the years is Toyota Tacoma. After 3 years and 30,000 miles, Toyota Tacoma will lose only 22.34% of its purchase price. After 10 years and 100,000 miles, it will lose 68.61%. The truck with the worst depreciation rate is Chevrolet Colorado. After 3 years and 30,00 miles, it will lose 44.48% of its purchase price. After 10 years and 100,000 miles, it will lose a total of 77.56%, which puts Chevrolet Colorado in the last place. The following car depreciation for new sports car will be calculated in percentages. For every year there is an average of 10,000 miles added. I took one sports car from each brand and calculated the depreciation for 10 years. This will give you an overview of how each brand sports car depreciates over the years. The best sports car that holds its price is Lamborghini Gallardo. In the first 3 years and 30,000 miles, there is only a 14.45% of depreciation. After 10 years and 100,000 miles, there is a 65.42% of depreciation. The sports car that has the highest depreciation is Porche 911. After 3 years and 30,000 miles, you will lose 42.56% of the total price. After 10 years and 100,000 miles, you will lose 76,78% of the total price of purchase. After carefully reading this article, I think we can both agree that buying a used car is the best financial choice. Don’t get me wrong, if you have a lot of cash, and you really want to customize your brand new vehicle, you can go ahead and buy a new car. But if you just like the model, and you are not interested in customizing that vehicle, buying a 1 to a 3-year-old car can bring down the price for around 30% in almost all vehicles. I have never bought a new car. It’s not that I cannot spend $30,000 on a car, it’s just that with a $30,000 I can buy a much better-used car. Of course, the car will be used, but it will be only used for a one, two, or three years. I have an article on what to look when buying a used car, how to check the motor, the interior, and exterior. You can see it here. Also, if you choose to buy a used car, make sure you check it with the OBD Scanner. This little scanner will save you a lot of money. Even if the car is only 1-3 years old, it can have some serious engine problems. Maybe the car was not properly taken care of, maybe the owner didn’t break in the engine properly. You can grab the OBD Scanner here. Tell me what you think in the comments. Have you ever bought a new car or a used car? Will you look at things differently after reading this article?